Either nothing says “disaster” like “Winter Sky” or its sense of calm attracted the journal editors of Prehospital and Disaster Medicine. 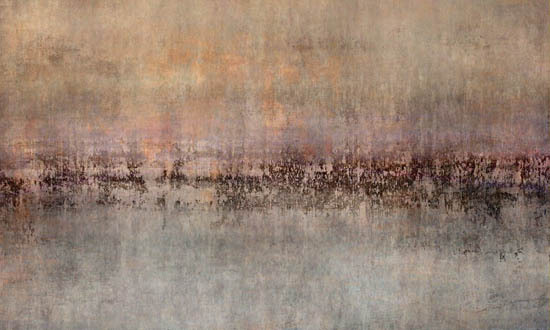 We’re pleased to announce that Dave’s “Winter Sky” was chosen to grace the cover of the October 2013 issue of the Prehospital and Disaster Medicine journal. We’d also like to give a shout out to thank all our friends (and friends of friends) who work as firefighters, EMTs, and disaster response organization staff and volunteers. Prehospital and Disaster Medicine (PDM) is an official publication of the World Association for Disaster and Emergency Medicine (WADEM). Currently in its 28th volume, Prehospital and Disaster Medicine is one of the leading scientific journals focusing on prehospital, emergency and disaster health. It is the only peer-reviewed international journal in its field, published bi-monthly, providing a readable, usable worldwide source of research and analysis. PDM is currently distributed in more than 55 countries. Its readership includes physicians, professors, EMTs and paramedics, nurses, emergency managers, disaster planners, hospital administrators, sociologists, and psychologists. 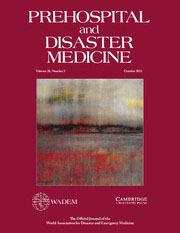 Prehospital and Disaster Medicine is published by Cambridge University Press. WADEM is a non-operational, non-governmental, multidisciplinary organization whose mission is the global improvement of prehospital and emergency health care, public health, and disaster health and preparedness. This Saturday, August 10, we’ll be spending an evening at Dave’s first featured show at Edgewood Orchard Galleries on Peninsula Players Road (directions). Consider dropping by this lovely spot as wandering the gallery and sculpture garden is a great way to spend a summer evening. The opening reception is from 4 to 7pm. There’s lots of tasty food, wine and beer. The featured artists will be giving a short talk in the courtyard at 5pm. The other featured artists are two oil painters, Mary Ulm Mayhew and William A. Suys, Jr., jeweler Regina Imbsweiler, and bronze sculptor C.T. Whitehouse. Whitehouse’s work often graces the sculpture garden – a meditative meander among the trees designed and maintained by co-owner J.R. Jarosh – himself an artist working with the landscape instead of capturing it.